This is great little bundle of info if you already have the tools and materials you need for quilling, and would like to print out the instructions and designs. 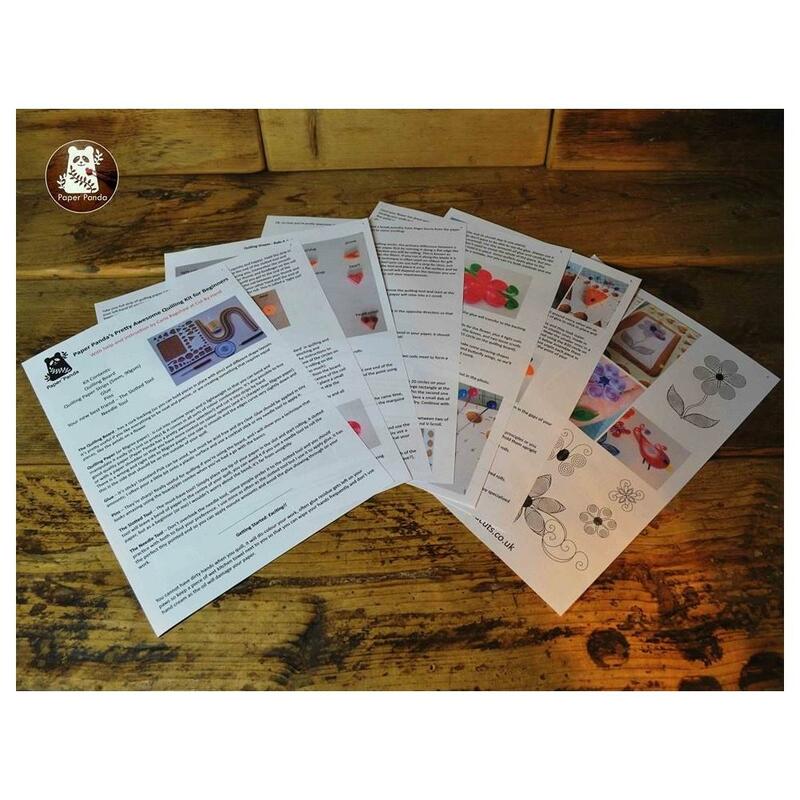 You will receive 7 sides of A4 instructions, for you to print as many times as you like to recreate the pretty designs. Instructions put together by the very lovely Carla Bagshaw of Cut by Hand, especially for Paper Panda. You must not sell these files, but you can sell the finished quilled items you have made. This is a digital product consisting of a ready to print PDF which will be automatically emailed to you after purchase.